Don't miss out on this must-have survival BOGO! Losing the trail, or getting turned around can happen to anyone. Don’t be caught without the ultimate survival tool. 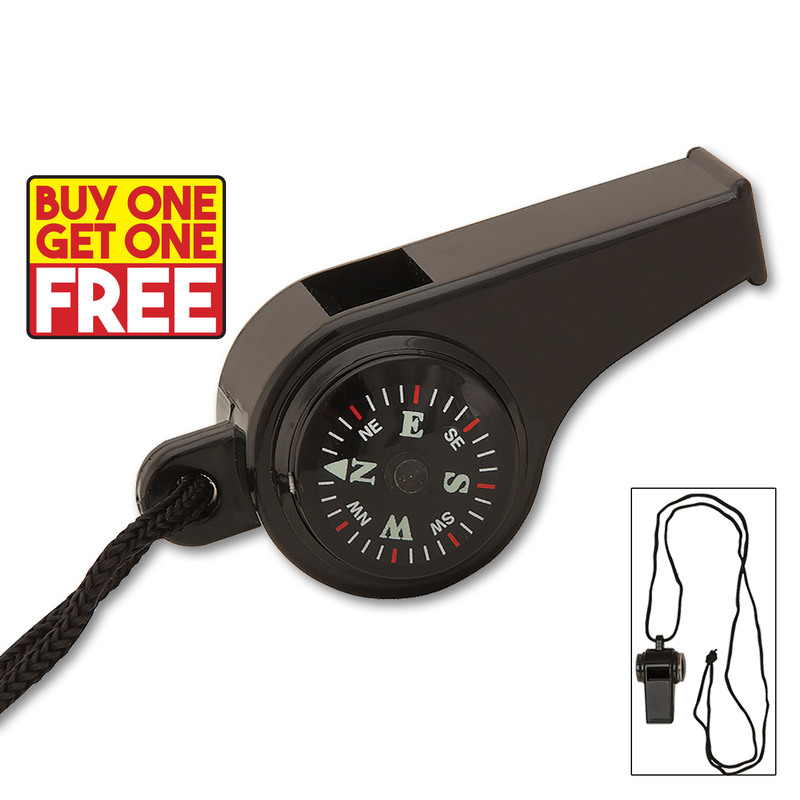 This super whistle emits shrills of extreme decibels not capable of ordinary whistles. Search and rescue teams will hear your call from up to a mile away in ideal conditions. But, you'll probably never need a rescue, as you'll always know which way to go, thanks to the integrate magnetic compass. A Fahrenheit thermometer also allows you to monitor the temperature and weather to ensure you build the optimal shelter for the conditions if forced to spend a night alone in the woods. Now, we're giving you two of these awesome survival must-haves for the price of one! Keep these where they will be protected somewhat. Compass slow to react but seems true. Temp is fairly accurate. Whistle is loud as hell which is good. Typical plastic, 2 halves glued together. I don't think these will take a lot of abuse. Maybe keep in a padded pouch or wrapped up in a handkerchief in a pouch. You will want one of these with you when you go out. If, for nothing else than the thermometer, to monitor dropping temps. Plus, the compass to keep on track, AND THE WHISTLE, if needed.